The latest collection of Yeezy boots were just released, and you can expect to soon see them on the feet of Kendall Jenner, Hailey Baldwin, Emily Ratajkowski, and every other Yeezy-loving It girl who can get her hands on them. Included in the Season 3 lineup are a black over-the-knee version of the popular sock boots and PVC and mesh mid-shin styles. 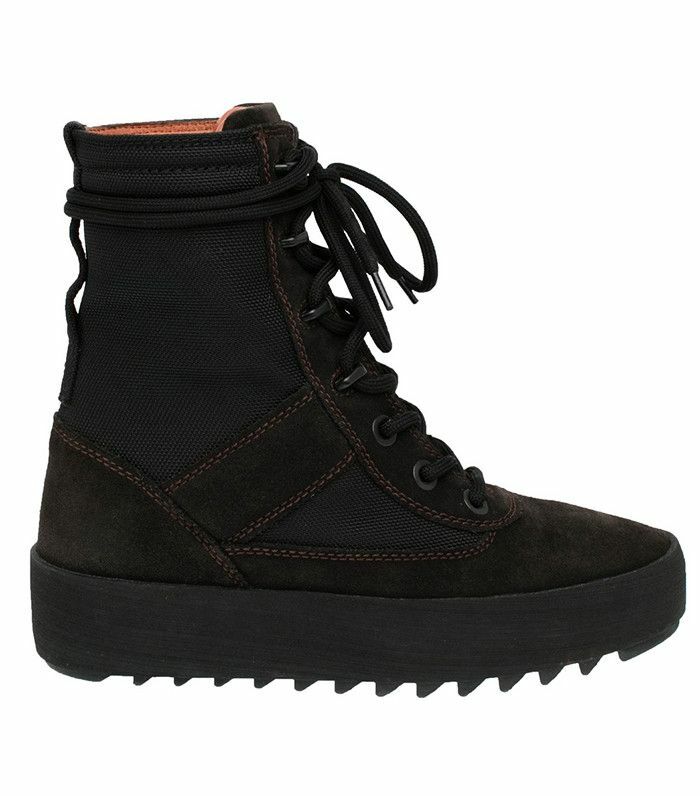 While these are in keeping with the previous season's shoes, there's another more winter weather-appropriate style in the collection: rugged military-style boots that we're predicting every NYC girl will be sporting at the first inevitable signs of snow (and Kendall Jenner will be wearing with a pair of leggings and a bomber jacket). Every style is available on Yeezy.Supply, but as always with Yeezy footwear, you'll probably want to act fast. The over-the-knee and mid-shin styles are nearly sold out. Shop a few of the styles below!